In a phone call, I discussed this move with the former deputy prime minister. I put to him the critics’ claim that he is selling out for money; that hiring a metropolitan European liberal isn’t an obvious move for a company derided as being out of touch, and that being something of a Brussels insider isn’t necessarily as useful as knowing Washington, where the heat for Facebook is likely be to most intense in coming years. Sir Nick will be head of global affairs and communications, succeeding Elliot Schrage, who announced his departure in June after a decade at the company. Casting around for a successor, he saw the work of Sir Nick’s think tank, Open Reason, and flew to London to sound him out. Sir Nick resisted and a courtship began. Facebook’s chief operating officer, Sheryl Sandberg, called the former deputy prime minister while he was walking in the Alps in the summer holidays. Sir Nick subsequently flew over to Silicon Valley, where I understand he spent a couple of hours in Mark Zuckerberg’s garden. Later, he and his wife, Miriam Gonzalez, travelled to the US west coast for dinner with the Facebook founder and Ms Sandberg at the former’s house. The concerns were largely practical. Sir Nick’s three children are 16, 14 and nine. The eldest is in remission from Hodgkin’s Lymphoma and has said he has heard California is cool. 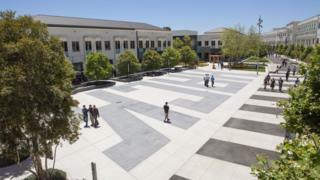 The family will fly over soon to inspect houses and schools and Sir Nick intends for the family to live close to the company’s headquarters in Menlo Park, rather than commute from San Francisco. Sir Nick will start in the London office in a few weeks’ time and the family will move to the US after Christmas. Ms Gonzalez will cease working for her law firm and will continue to run her charity, Inspiring Girls. She won’t be short of legal work in the Bay Area. The other concern Sir Nick had was about the job itself, specifically whether he would be allowed into the Court of King Mark. Facebook, despite endless chatter about being a democratising network, with a community two billion strong, is often condemned for being rigidly hierarchical, with a ruler who (what with his fondness for Augustus) resembles a Roman emperor. 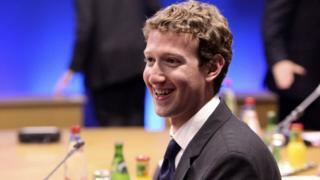 He described Mr Zuckerberg as “a shy guy” and “thoughtful”. He says he is “under no illusions about the reputational squall” of the company. But what of his political mission? Sir Nick has been a ferocious campaigner against Brexit. Will he continue to speak out about it? “No, no, no… I hoped I wouldn’t have to make this move until Brexit had happened or perished in Parliament,” he says. But the practicalities interfered with that hope. So he’ll stop tweeting about it? So much for Sir Nick. For Facebook, this could prove a challenge. The company is often derided as an out of touch, coastal, globalist, graduate dominated behemoth totally unconnected to the lives of normal people. 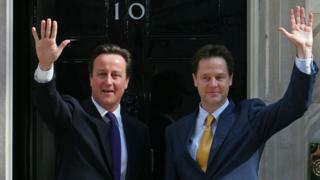 Sir Nick, who is fluent in French, Dutch, Spanish and German, led a party called the Liberal Democrats. Doesn’t this prove Facebook’s critics are right? Sir Nick – whose predecessor as MP in Sheffield, Richard Allan, also works for Facebook – says the company has many people with Republican inclinations, and points to the presence of the vice president of public policy, Joel Kaplan, behind Brett Kavanaugh at his recent hearings. Suffice to say the small ‘l’ liberal, Californian disposition is not in the ascendancy in Washington at the moment. This is a crucial point. Given the coming likely regulatory friction with Washington, why is Facebook hiring someone without deep connections there? Sir Nick responds that the company can see a lot of policy innovation and momentum is coming out of Europe. Sir Nick has submitted extensive memos to the Facebook leadership on his views about a range of subjects, from how to go into China, to control of data. To the question of whether or not he has sold out for money, he responds that he is a private citizen, and that he has written to the Cabinet Office to ask that the stipend he gets for public work, as a former deputy prime minister, should come to a close when his office in the UK shuts. Sir Nick used to negotiate trade deals in Brussels and will deepen connections between the European Commission and the US west coast. Still, it is surprising that Facebook plumped for a senior European, as opposed to an American or Chinese politician. It indicates that European regulators, especially through GDPR, have made themselves a nuisance to Big Tech. The company’s share price is reasonably flat over the year but it has taken a reputational battering, because of the data scandal involving Cambridge Analytica, fake accounts, evidence of Russian meddling in the presidential election and many other problems. Perhaps most astonishingly, Facebook has admitted that it inflated the number of people watching videos on its platform. If Facebook can’t be relied upon to provide accurate information about what value advertisers are getting from it, the foundations of its business could crumble fast. Almost all Facebook revenue comes from advertising. For Sir Nick, this is a new chapter. The bruising experience of the coalition years followed his becoming the embodiment of student anger of tuition fees. In 2015, his party was humiliated, but not badly enough for him to be thrown out by the electorate. That came in 2017 instead. He’s been working on the frontier between technology and politics for the last few years. “I thought, I could do this academically, as a commentator, running a start-up, but then I thought, in for a penny, in for a pound.” Or indeed a dollar, and a few million of them by the time he’s done. The boundary between politics and the media has long been porous, but rarely more so than today, when the political cycle has been so sped up – in part by social media. Donald Trump went from reality TV to the White House. Barack Obama from the White House to Netflix. George Osborne went from No 11 to the Evening Standard. Nigel Farage went from UKIP to LBC. 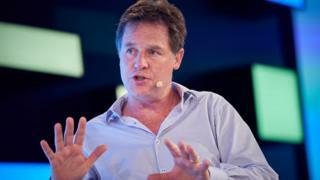 Now Nick Clegg has gone from Westminster to Silicon Valley. He isn’t the first – and won’t be the last.